Apple & Eve Organics are refreshing, great-tasting juices made from pure, certified organically grown fruits. 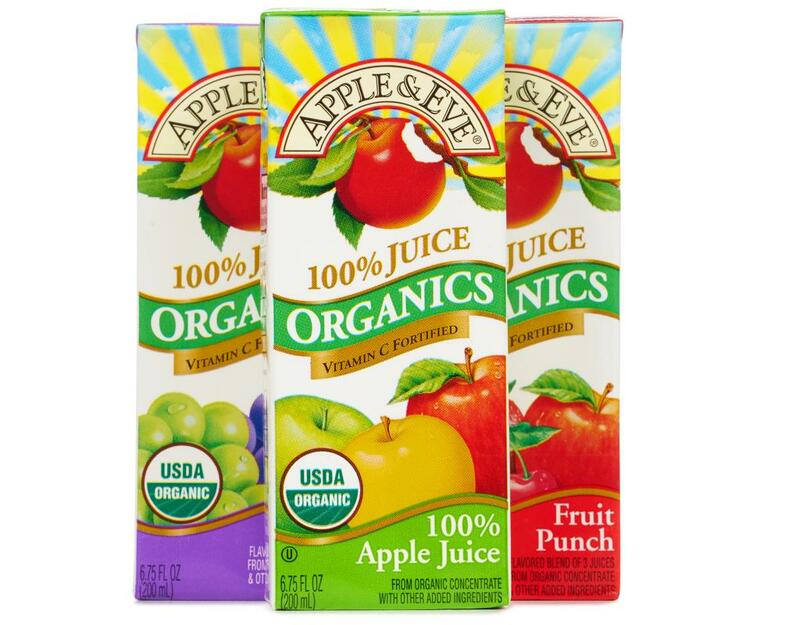 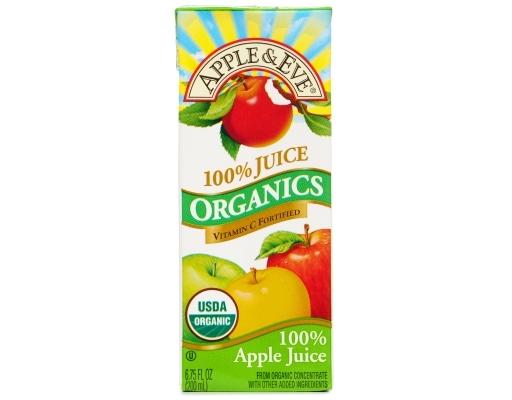 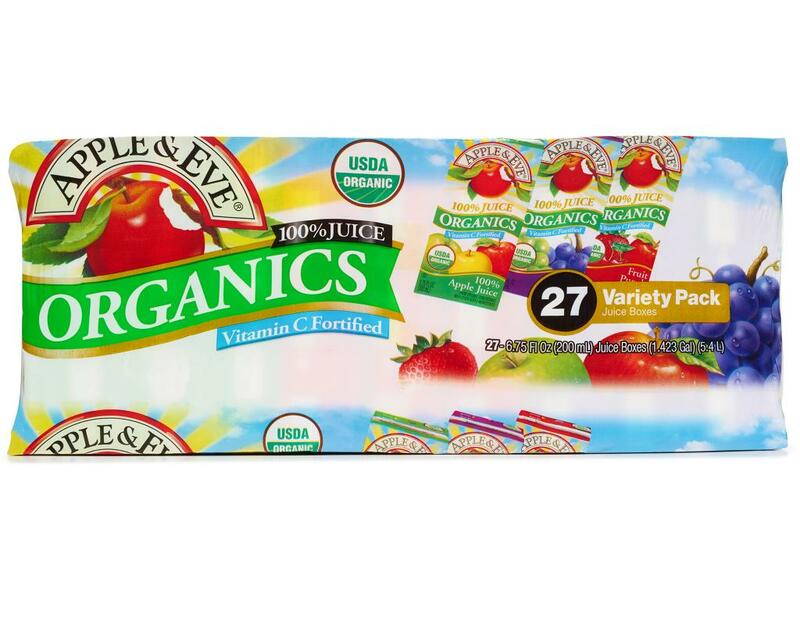 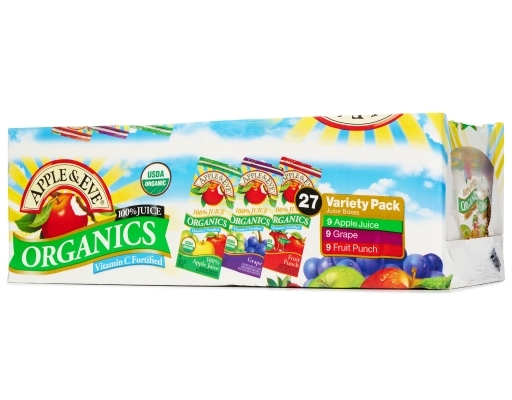 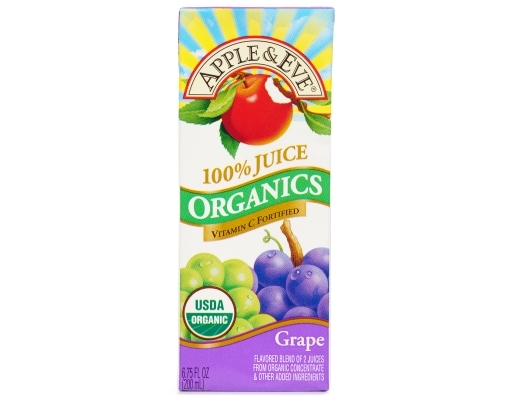 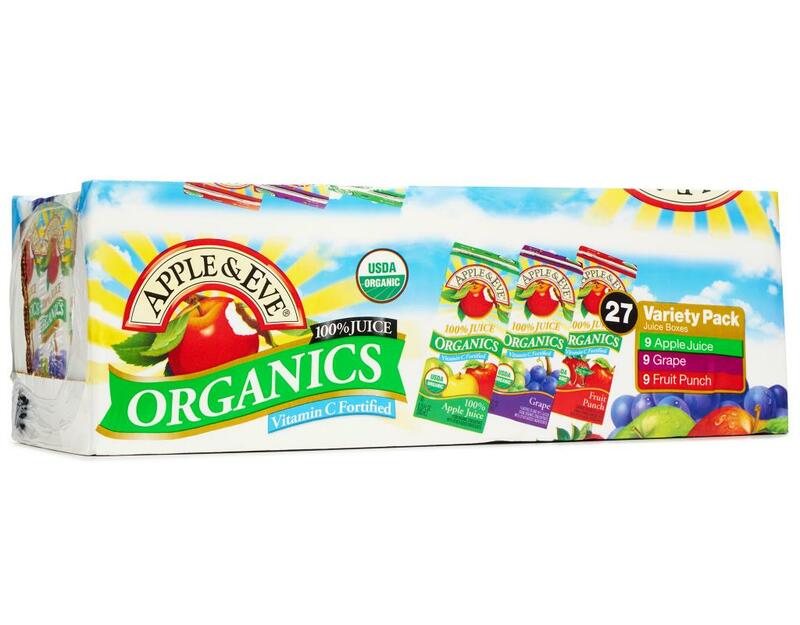 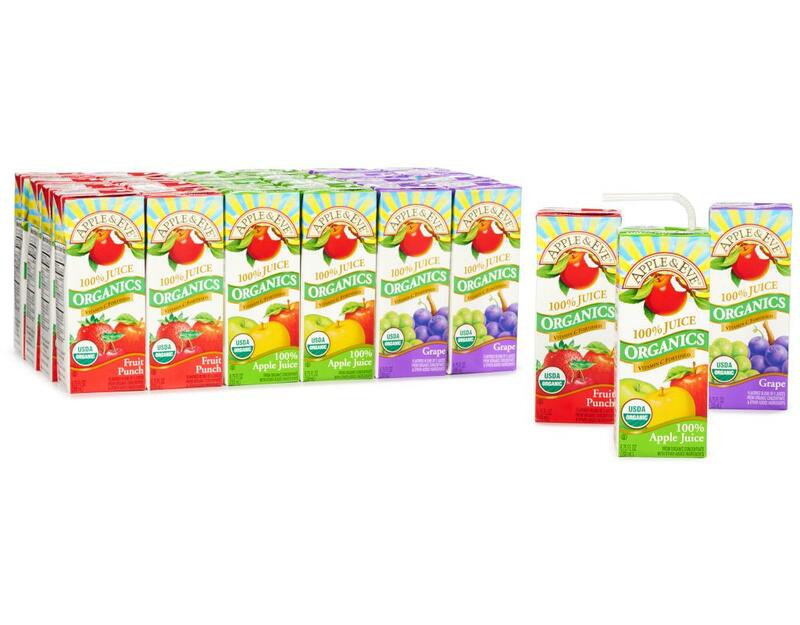 Enjoy purely delicious varieties of 100% natural, USDA-certified organic juice blends from Apple & Eve. The fruits used in the Organics line all bear the “Quality Assurance International” seal that verifies the products are produced in accordance with the strictest USDA Organic Standards. That means no pesticides or chemical fertilizers were used on these fruits at any time. 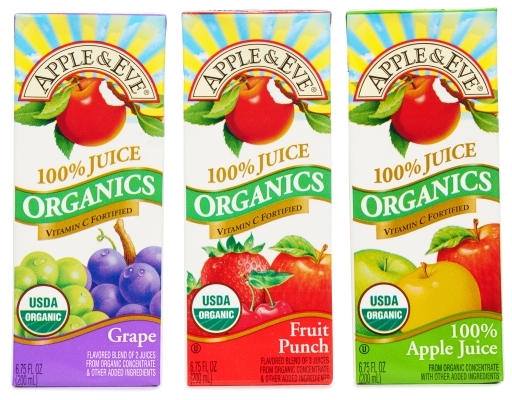 The juice from these purely organic fruits is 100% natural like juice squeezed from fruit ripened in the Garden of Eden. 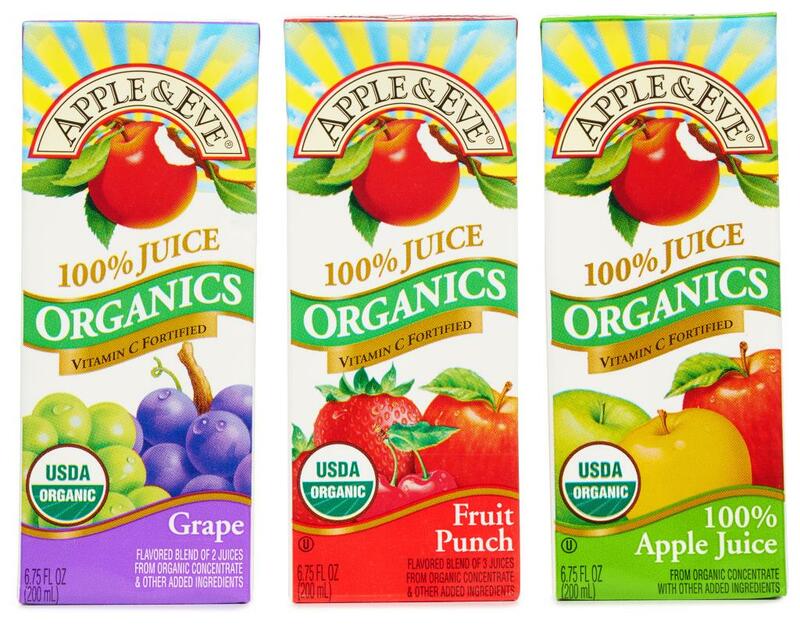 It's pure fruit juice perfection. 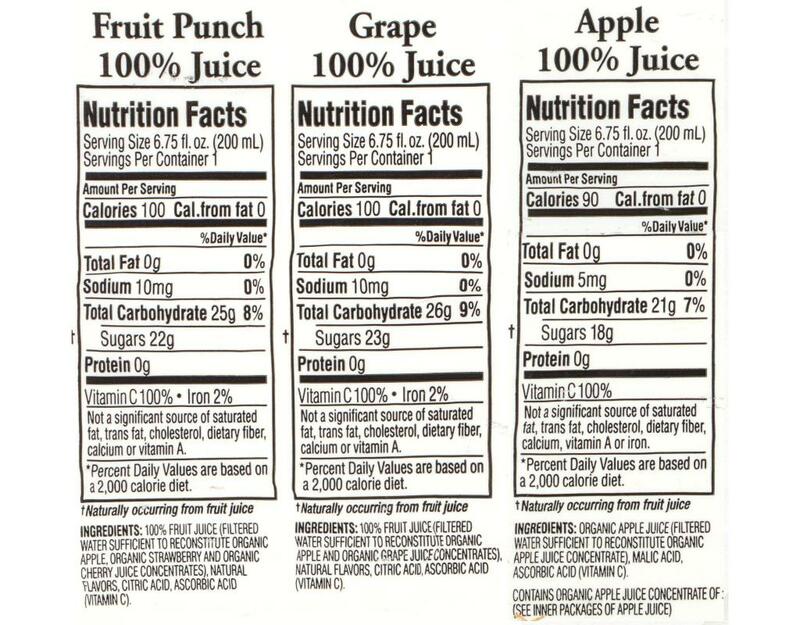 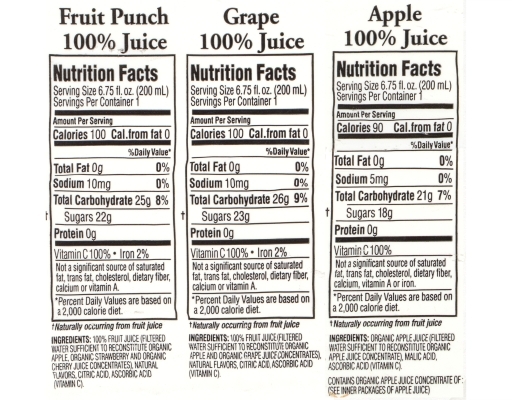 • 9 Apple Juice - Every glass you pour is a mouth-watering blend of tart and sweet varieties of organically grown apples. • 9 Grape - Organic grapes so delicious and flavorful it’s like plucking juicy, ripe grapes straight from the vine and popping them in your mouth. 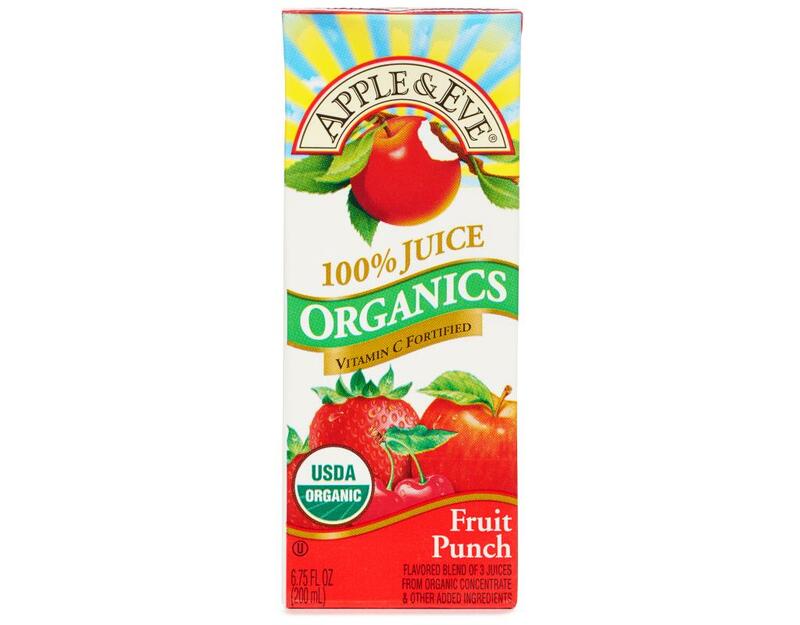 • 9 Fruit Punch - A juice blend of luscious organic cherry, strawberry and apple juice is total refreshment and sure to make this a favorite family flavor.